Enhance your truck's looks and add protection to your side bed rails with a set of Bushwacker Diamondback bed rail caps. 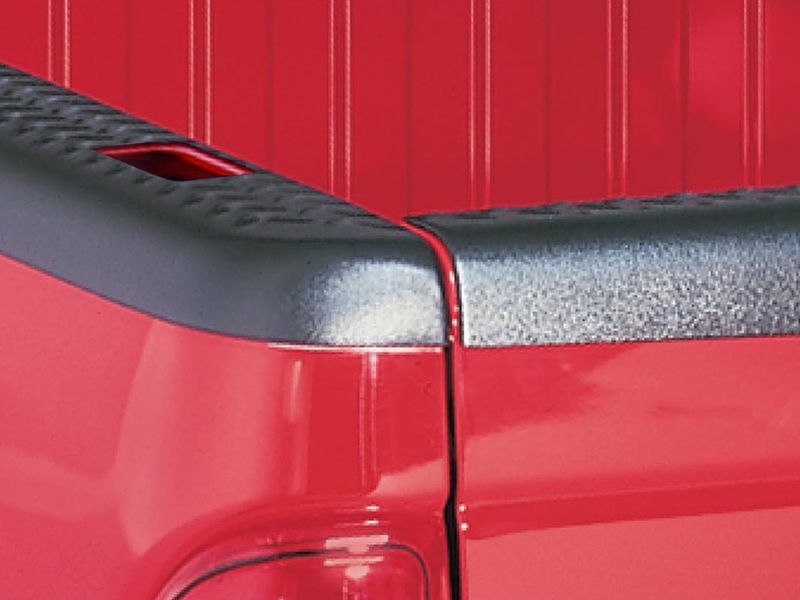 These rail caps are great combination of style & protection for any truck. These rail caps are made from Bushwacker's Dura-Flex 2000 thermopolyolefin material. This material is resistant to dents or dings. Bushwacker has added UV protection to their bed rail caps to prevent fading or chalking. Add to that the unique diamond plate tread pattern and you get long-lasting protection with a look that will make all your neighbors envious. In addition to adding style and protection to your bed rails, Bushwacker also gives you the option of having cut-outs for your stake pocket holes. Each pair of Bushwacker bed rail caps are cut for your specific make and model truck to get the best fit. They are easy to install with pre-applied 3M tape, so there's no drilling a bunch of holes into your truck. Once they're on, you'll wonder how you ever got by without them. You can feel good knowing that your new Bushwacker Diamondback bed rail caps are American made and backed by a limited lifetime warranty. Order yours today! Bed rail caps from Bushwacker are simple & easy to install. The instructions are clear cut and easy to follow. Please give us a call any day if you need more information or have any questions.